River banks, floodplain forests, thickets, and forested ravines. Bromus latiglumis, B. nottowayanus, and B. pubescens form a complex of three native forest understory species that are often confused. In addition to the distinctions in the key, B. latiglumis is a larger, leafier species and ripens its fruit late, generally toward the latter part of August and into September, whereas B. nottowayanus and B. pubescens fruit at least a month earlier. 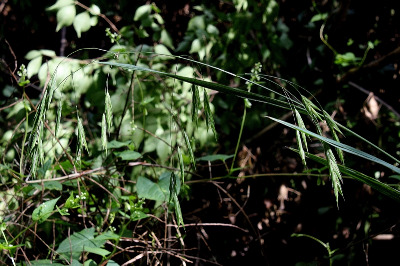 Rarely specimens of this group have the first glume 3-nerved and the second glume either 3- or 5-nerved. They will not run well to any species in the other half of the key, but will rather obviously belong here on the basis of all other characteristics. MICHIGAN FLORA ONLINE. A. A. Reznicek, E. G. Voss, & B. S. Walters. February 2011. University of Michigan. Web. 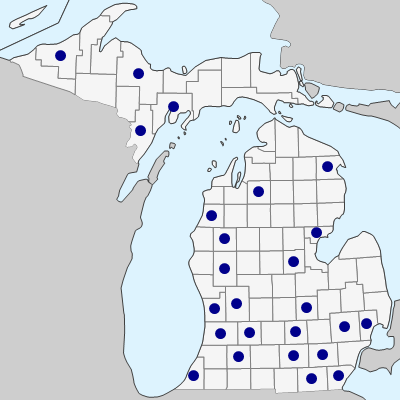 April 20, 2019. https://michiganflora.net/species.aspx?id=2036.